Lapel defeated Frankton 6-3 in the 2A Baseball Sectional Championship game Monday. 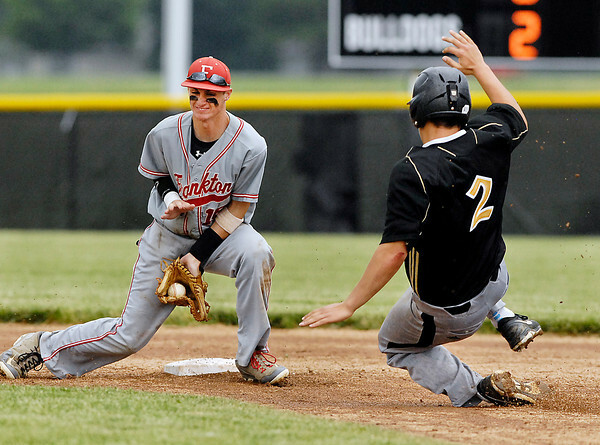 Frankton's 2nd baseman Trevor Hughes catches the ball in his glove as Lapel's Dane Mason starts his slide into second base on a steal attempt in the 5th inning of their sectional championship game. Mason was tagged out on the play.